Hi Guys. I'm trying to download Justin's Kleen Start patch to my pc for subsequent transfer to the Boss Tone Studio app. However when I click on download Katana Kleen Start, all I get is a webpage with one huge continuous line of computer script! What am I doing wrong? I've looked at Justin's video on how to do this but when he does it, the file goes into a folder on his pc ready for transfer to the Tone Studio app. I just tried it and it works fine for me. You might try right clicking on the file and selecting "save as". My point is that I don’t get a file to save. I only get a page of computer script. I’ve tried Justin’s other patches and get the same result. Update:- reading through the script, it is clearly the contents of the file as it contains lots of numbers and names that relate to tone, fx, etc on the Katana amp. How do I stop the file opening? Any techies out there? I'm on Windows 10. It sounds like whatever browser you are using has, somehow, become misconfigured. My point was did you try right clicking on the link and doing a file save as? The page that opened is probably the tsl file. Thanks for the suggestion. Yes I agree the file that's opening is the .tsl file. I've tried right clicking on the website link but that doesn't give an option to save or save as. I'm using Internet Explorer 11. Thanks Keith. That crossed my mind. I tried downloading the file to my iPad thinking I could then email the file to myself on the pc. Again all I got was a page of script on the iPad. I'm reluctant to start downloading and installing a different browser and screw things up as it works fine for everything else! I guess for the moment I'll have to stick with the standard Katana amp settings. I would have loved to be able to follow Justin's Katana amp lessons. I'll maybe try and contact Katana and see if they've had any similar issues. I understand they are sponsoring Justin with his patch project. Is there any way to contact Justin? He must get hundreds of comments on his website and facebook etc. and won't read them all. I'll maybe try and contact Katana and see if they've had any similar issues. I understand they are sponsoring Justin with his patch project. I'm afraid there's no point contacting either Boss or Justin. This is an issue with your computer browser, not with the patch files themselves, nor with the website. If you want to fix this, then I'm afraid you are going to have to bite the bullet and make changes to your computer. It should be possible to reconfigure IE11 to stop downloading this file incorrectly, but this will take some research and will require a fair bit of instruction. If you want to solve this, I strongly suggest you try downloading and installing one of the browsers I suggested above. Even if you weren't having issues, I would recommend this anyway. Both Firefox and Chrome are a huge improvement over Internet Explorer. 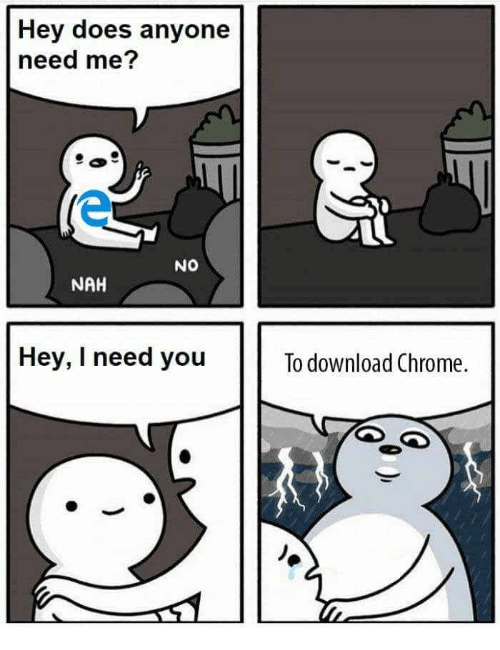 The standard browser used on the Internet these days is Chrome, so you are more likely to have issues by sticking with IE. However, you can easily install Chrome or Firefox and use them independently alongside IE. there should be absolutely no reason why you should mess anything up on your computer by doing this. Ok. But why did I get the same result when I tried to download the files to my iPad? I would look at that question the other way: why is it working for other people and not you? I've just tried downloading it on a computer, a laptop, and my phone and all worked for me. That implies the website and the file itself are OK. And I've not heard any other complaints which suggests it's not a widespread issue others have had. It is, however, pretty weird that you are getting the same result on two different devices. Do you know if you are you behind a firewall or proxy server that might be doing something odd to the file when you try to download it? I would suggest trying at least one of the browsers I recommended to see if that works. You could try to highlight the file and press F12 to save as. Hi Guys. Bit the bullet and downloaded Chrome. The files are now downloaded and into the library of the Boss Tone Studio app! You were right Keith! It’s something to do with my download settings on IE, although I’ve download tons of other stuff in the past, and indeed today, with no problems. It must be the .tsl file that IE doesn’t like. Anyway problem solved and anyone else who has the same issue (and you can find there are quite a few, if you spend half a day searching the internet like I have!) will hopefully read this thread and get the answer. Looking forward to experimenting with Justin’s amp settings. I’m new to all this amp stuff and need his help!